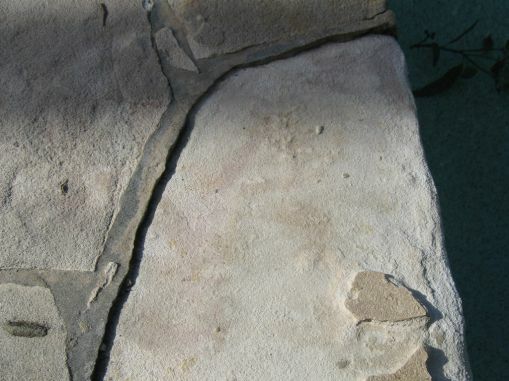 'Spalling' stone is delamination, chipping or peeling of the stone's surface can originate from a number of sources. 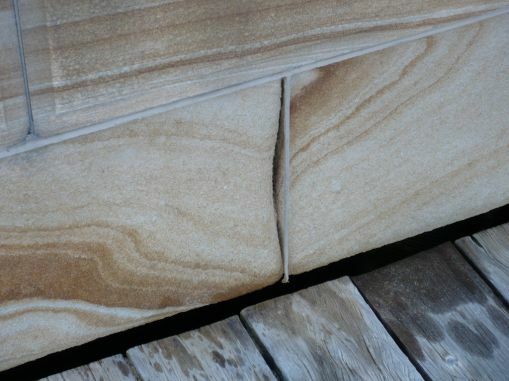 For sandstone, spalling (which looks like the stone is peeling or flaking) generally indicates a problem with salt attack, where salt crystals grow from the mineral-laden water that has penetrated into the stone. The crystals grow and fracture off the top layer of stone, resulting in loose sand on the surface of the tile. Spalling, peeling or flaking can’t be repaired, but the problem can be arrested. A Deep Dirt Extraction pulls out the salt from within the stone, and Stain-Guarding hardens the stone to limit further damage. Is it possible to prevent spalling? Not completely – it’s a symptom of the stone type and the environment it’s been installed in. 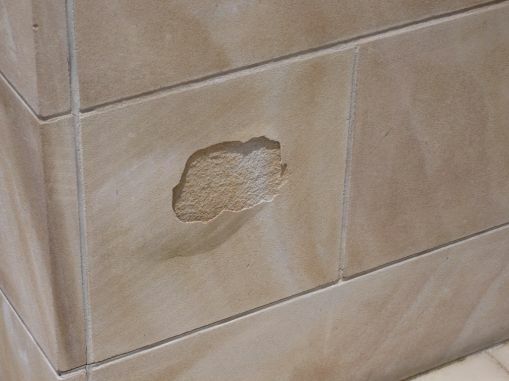 However if the stone is properly sealed when it’s installed – or really any time before spalling becomes visible – it will limit moisture that is able to enter the stone, thus minimising the salt crystals and the opportunity for spalling. As spalling is irreversible, it is particularly important to choose a top-quality sealer and a professional service provider (such as Slique’s Stain-Guarding treatment) and to ensure that it is regularly maintained. 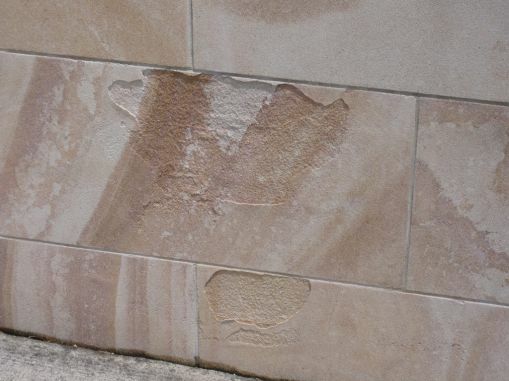 If you have spalling or other surface damage on your stone, you can book a free Slique Consultation – we’ll come and confirm your problem, and give you a quote for our Technicians to professionally restore the surface and prevent ongoing damage.